In press releases and in the impressive catalogue, the new Reset Modernity! 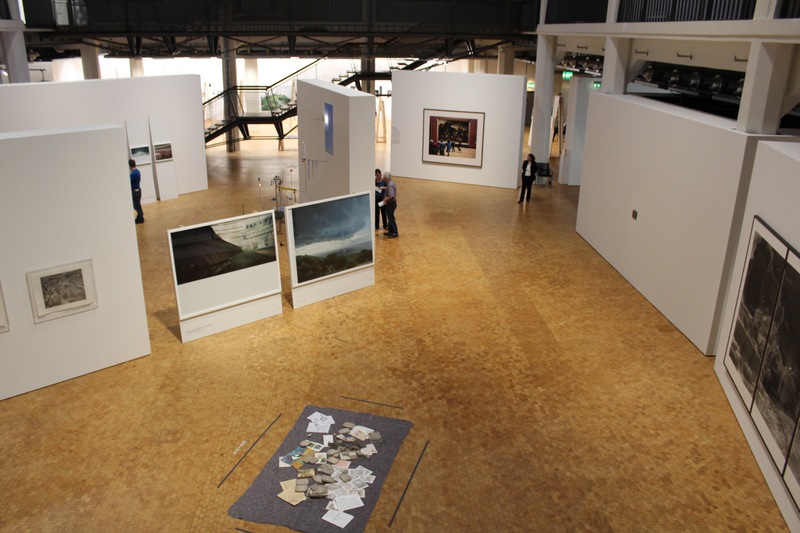 exhibition at the Zentrum für Kunst und Medientechnologie (ZKM) in Karlsruhe – (co-)curated by a certain Bruno Latour – is framed as a thought experiment or, in more idiomatic German, a Gedankenausstellung. Having perused through the exhibitions’ 75+ works of various origins and media formats, and thus partaken in the six successive procedures of dis- and reorientation meant to achieve the promised reset, this framing seems to us both highly appropriate and somewhat symptomatic. Appropriate, in the sense that what is being exhibited here, more than photographs and video screens and installation art, is in fact the thoughts of… Bruno Latour. Symptomatic, because in this case as well, German is more precise than English: while thoughts are literally put on display, it seems as if nothing much experimental is happening here. In particular, the detour through other materials seems to make no real difference to how the thoughts unfold themselves. From start to end, the exhibition looks and feels like a crash course in Latour’s version of science and technology studies (STS). Guided by a field book, we move from laboratory life (a, ‘re-localizing the global’) to the anthropology of techniques (f, ‘innovation not hype’), via more recent interventions aligned to the various modes of existence of the moderns: fictional art (b, ‘without the world or within’), religion (e, ‘secular at last’), morality (c, ‘sharing responsibility’) and politics (d, ‘from lands to disputed territories’). Crashing, indeed, is what modernity is said to be doing, under the weight of ecological crises. Or, to follow the opening video of the show, perhaps the crash has already happened and we are scrambling to face up to its effects? The answer was never entirely clear; just as it was not clear just why modernity needs resetting if, as the curator might say, we were never quite modern in the first place? Perhaps resetting is what happens to critique of ideology, once we stop believing in both critique and ideology? With so many interesting ideas flowing around; with such an impressive list of star artists enrolled; and with such a pressing eco-political mandate, Reset Modernity! frankly strikes us as something of a missed opportunity. Not that the show lacks exiting moments, far from it. Strong works of contemporary art, such as those by Simon Starling, Tacita Dean, Thomas Struth and Pierre Huyghe (to name but a few), make it well worth a visit. For anyone familiar with Latour and STS, moreover, the joy of recognition is a palpable one: if you read Reassembling the Social, you will surely enjoy watching Charles and Ray Eames’ promotional video Powers of Ten (and its critical-theatrical deconstruction); and if you follow discussions on the Anthropocene, you will like the enigmatic hybrids of humans and stones conjured by Anne-Sophie Milon and Jan Zalasiewicz (himself a leading geological protagonist). Yet, at the level of curatorial guidance – of which the show has (too) much! – the thoughts on display often curiously falls short of their purported model, i.e. the ground-breaking and thought-provoking writings of… Bruno Latour himself. Let us give a few examples to illustrate what we mean. During procedure b of the exhibition, the visitor is treated to two striking works by Jeff Wall, the Canadian artist well known for his self-reflexive inquiries into the nature of photographic representation. The choice of artist, of course, is far from coincidental. As many readers of this journal will recognize, Latour has a history of reflecting on one of these works: specifically, Wall’s 1992 photographic rendition of Adrian Walker, Artist, Drawing From a Specimen in a Laboratory in the Department of Anatomy at the University of British Columbia, Vancouver (as the full title reads). In the picture, Walker-the-artist is seen in the laboratory, absorbed in his work of making an anatomical drawing of a detached, mummified limb from a once-living animal. It is a wonderful piece of art, dwelling as it does on the capacity of photography to capture one of those still-rarer moments in scientific practice where artistic competence remains superior in precision to automated inscription. Latour surely agrees, to a point. As he explains in his brilliant 2005 Spinoza lecture, What is the style of matters of concern?, he is critical of Wall’s gesture: Wall has been blinded, he argues, by the contrivances of this situation, failing to see that its entire aesthetics of matters of fact has been rendered improbable. To his credit, in this 2005 text, Latour re-prints a lengthy response to this interpretation by Wall himself, explaining why it misses what Wall takes to be the key point, to do with the pleasure of all depiction (his own included, of course). Here is the problem, however: at the Reset Modernity! exhibition, this worthwhile exchange is reduced to a mere assertion on the part of the curator. In particular, the other photograph by Wall allows Latour to drive home the point: here, we witness a group of archeologists at work in their field, excavating. Unlike Walker, Latour writes in the field book, scientists “are involved inside what they study”. A nice STS point, for sure. But why do we need Jeff Wall’s photographs in order to make it? Indeed, are we not presented here with a strangely realist, matter-of-factly way of appreciating what is, after all, a highly self-reflexive photographic practice? If scientists are active inside the worlds they study, then what about photographers? Is only STS allowed to determine where the frame starts and stops? A second and related concern arises for us as we start embracing the full diversity of materials on display in the exhibition as a whole: tactile works by world-renowned contemporary artists sit alongside amateur scribblings and installations; videos by Peter Gallison’s STS students stand around the corner from the Eames’ work of design consultancy; a (copy of a) 15th century print by Albrect Dürer shares the space with excerpts from late-20th-century movies. In fact, only the large-size photographs by Armin Linke gives to Reset Modernity! a kind of recurrent visual mark (albeit, we think, a less interesting one than Latour lets on in the catalogue). Such material diversity is of course potentially interesting. It juxtaposes times, spaces, media and genres not usually juxtaposed. 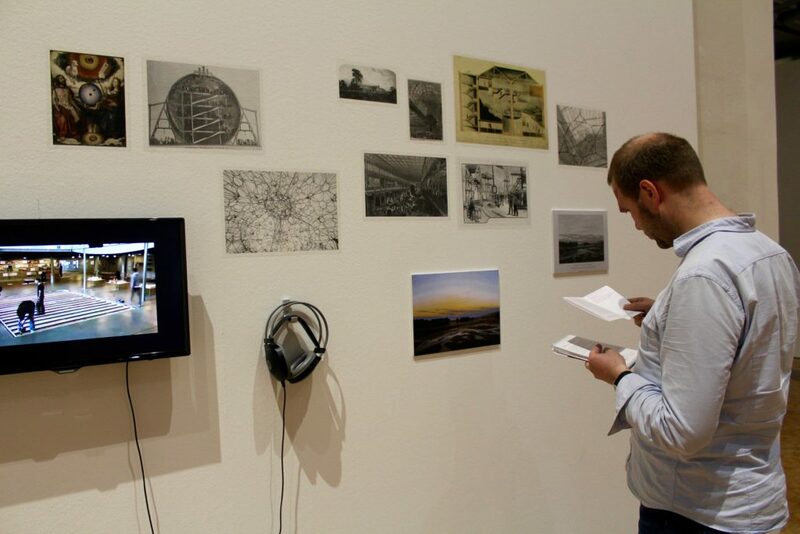 It challenges how boundary-work is usually performed in artistic spaces. However, at the curatorial level, nothing much is done with this diversity and its potentials in Reset Modernity!. In fact, and disappointingly, diversity of materials and stylistic genres fails to register anywhere in the thoughts on display, in the (heavy!) narrative being told. It is as if the various thoughts and the various materials, interesting as those registers are, are just not rendered that relevant for each other. Here is a split one would have trusted an STS curator to bridge – especially when that curator has done more than perhaps anyone else to bring to attention the inherent materiality of ideas. Third and finally, there is the narrative itself, the narrative of what happened to us during the short experience called modernity, and how we might want to reset that experience. Here, as noted, we are treated to a tour around Latour’s universe, slanted towards his more recent concerns: during the show, we move from (ancestral) land to the (modernist) globe; get lost on the way; witness the birth of the environment (out of Nature) and its later morphing into Gaia; only to realize that our imaginary land and utopian globe have both disappeared, leaving us the task of cultivating new careful techniques of attachment to our new and inhospitable umwelt, the Earth. Anyone up to date with Latour’s writings will recognize the (geo-)story. What becomes obvious in this 3-D exhibition version, however, is just hos well Latour’s own wonderful concept of the panorama fits this story of his: we are presented with a 360-degrees full-color projection, with no cracks and fissures, but equally with no visible signs of connection to the world beyond the screen. The panorama, as Latour would say, is nicely suited for preparing its audience, the public, for the collective journey ahead – such, indeed, seems to us the better way of appreciating the Reset Modernity! exhibition. Yet, even the best of panoramas eventually leave you starving for more, for something tangible, connected, entangled, engaged. For the kinds of worlds, in short, which STS is so good at cultivating, and which actor-network theory feeds on, full of gaps and fissures and translations and betrayals. Few contemporary intellectuals have done more to completely revamp, indeed to seriously reset, all the ingredients of our common world – of science, technology, nature, politics, not to mention the study of their multifarious interrelations, known as STS – than has Bruno Latour. His recent exposition of the modes of existence of the moderns adds new and interesting layers to this already-impressive intellectual edifice, as does his engagement into transdisciplinary dialogues on the fate of our Anthropocene. In the meantime, he has managed to (co-)curate three multi-media art exhibitions, at least one of which (the 2005 Making Things Public) stands as a model for those art-science collaborative endeavors so seriously needed. In light of all this, Reset Modernity! is a parenthesis; not a complete failure, for sure, but neither groundbreaking in any way. Sometimes, resetting your computer is no big deal, just something you do to refresh your extended mind. We suggest a similar procedure here: upon visiting this exhibition, remember to reset Latour (!) and refresh your memory as to just why his thinking matters so much in the first place. 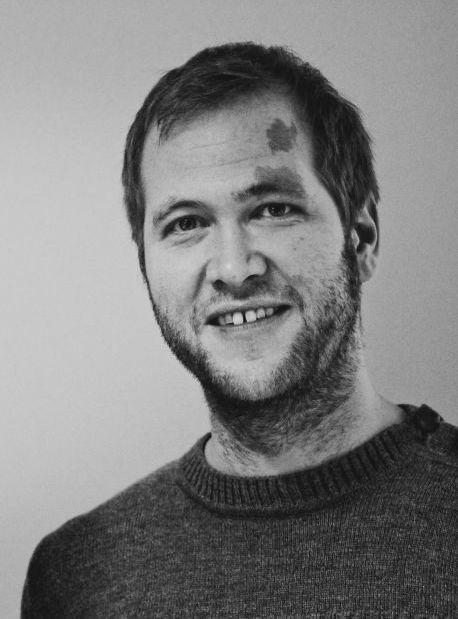 Anders Blok is Associate Professor of Sociology at the University of Copenhagen, Denmark. His recent work deals with the knowledge politics of urban environmental change in East Asia and Europe, and he has published widely in the fields of science and technology studies (STS), urban studies, environmental politics and social theory. He is co-author (with Torben E. Jensen) of the book Bruno Latour: Hybrid Thoughts in a Hybrid World (Routledge, 2011) and co-editor (with Ignacio Farías) of Urban Cosmopolitics: Agencements, Assemblies, Atmospheres (Routledge, 2016). 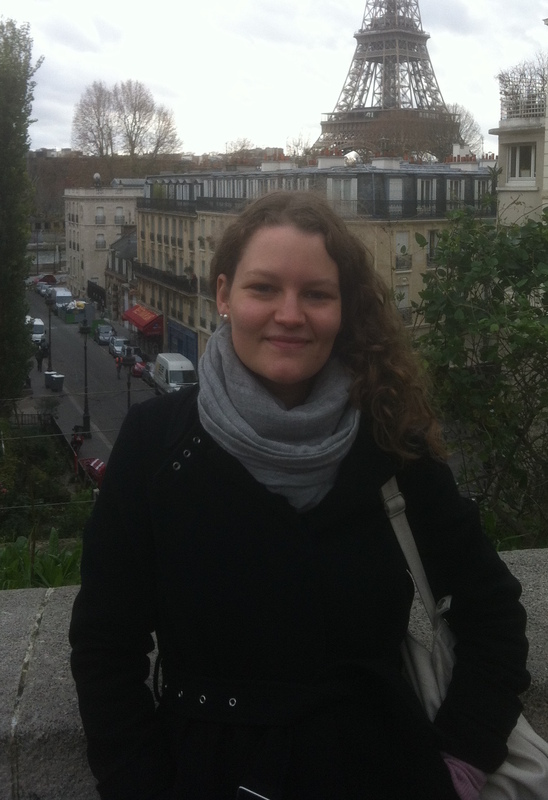 Line Marie Thorsen is a PhD-fellow at Art History, Aarhus University, Denmark and associated PhD of the research project Aarhus University Research on the Anthropocene (AURA). Her research focuses on how contemporary artists across Europe and East Asia engage, articulate and navigate notions of global climatic and environmental issues, into their local settings and ecologies. In this work she draws widely on science and technology studies (STS), and has recently published a review essay in Science as Culture on the potentials of aesthetic methods in experimental STS research.